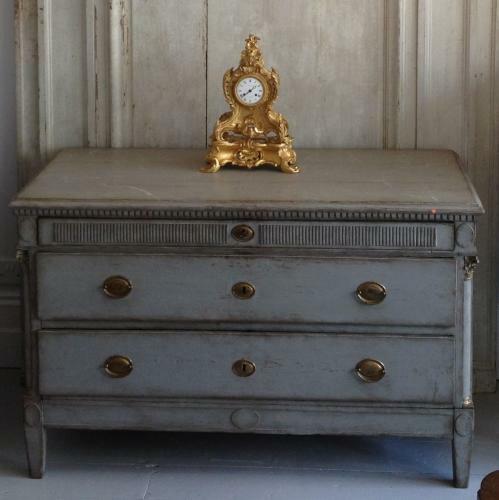 18th century Danish chest of drawers with classic Gustavian detailing and carvings. Featuring a dental trim top, reeded top drawer, carved corner columns and tapered feet. Circa 1790.